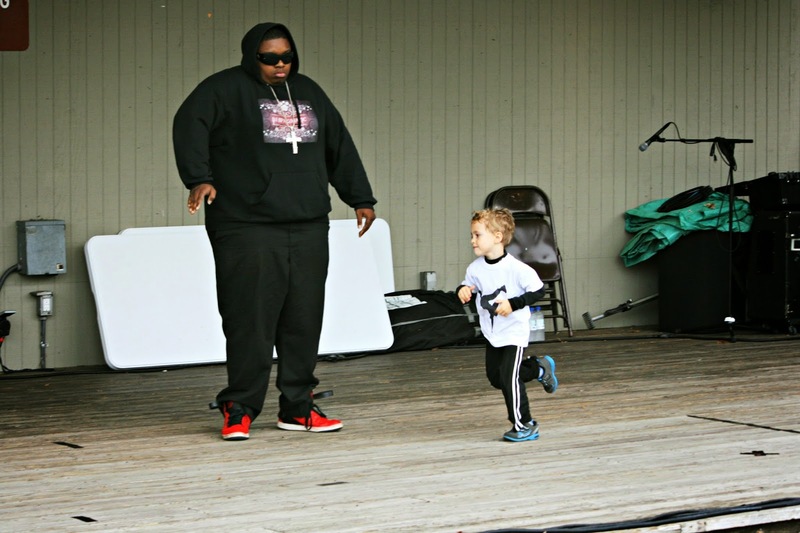 A couple of weeks ago, Cort had the opportunity to perform with his hip hop instructor at the Vinton Fall Festival. 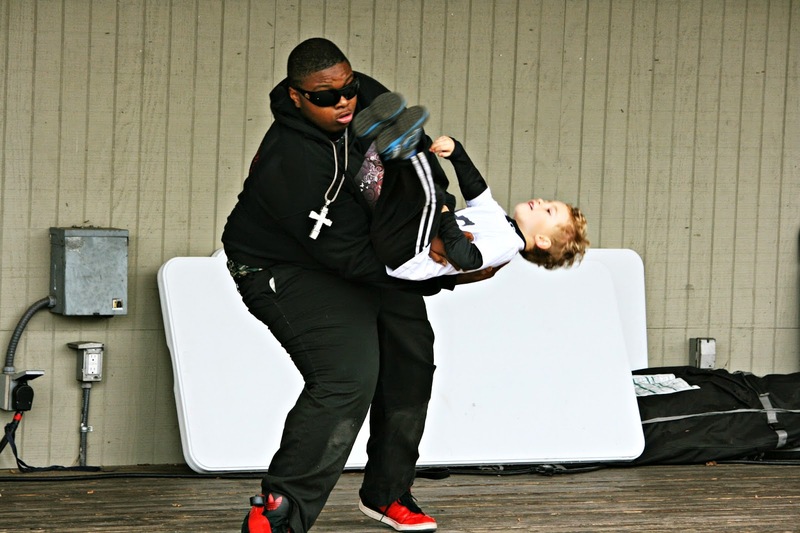 As a result, Cort didn't get to do his breakdancing, which is his strength. But he still got to do some fun moves. High five at the end! He had a great time and can't wait for his next dance performance. Cort is doing hip hop and ballet this semester. so very cute! so glad he's having fun! Lisa, you got great pictures, and they are NOT blurry! I only wish there was a video! He does look a bit nervous, but I bet he was GREAT! Why on earth did they not hammer down nails on the stage wood? I think that is taking the word RUSTIC a bit too literal!! That's so cool! 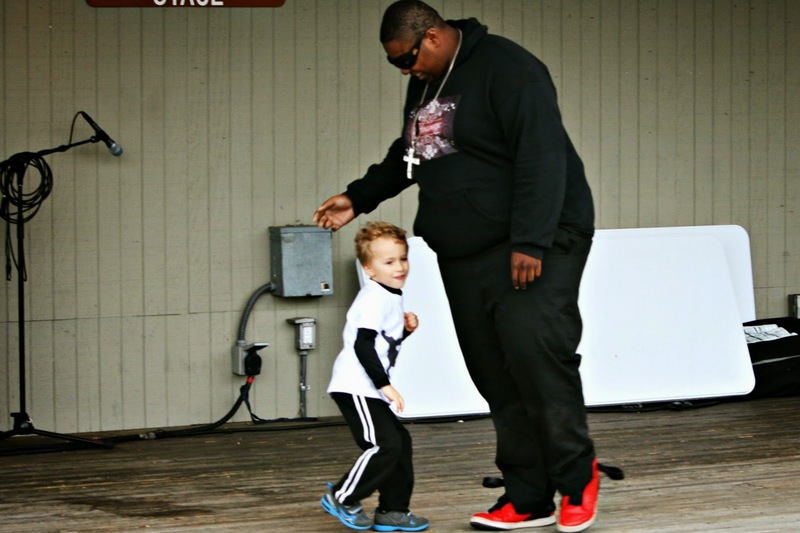 He's adorable, and I love that he likes dance! That is just too cute, and you could tell at the end just how much he loved it! Pretty funny, he looks like he really enjoys showing his stuff. He looks like quite the perfumer. I would love to see some video of him in action. I am sure he will take the crowd away. That is GREAT! I like the contrast in teacher and student. That is adorable. 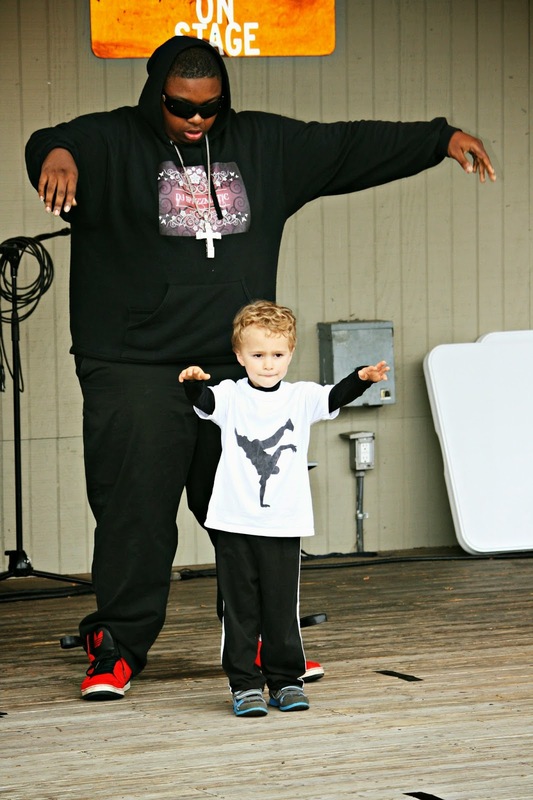 That is sooo neat that Cort loves his dancing. What a cutie pie he is. Good for Cort! But doesn't he look small next to his instructor? wonderful, I love their size and colour difference, the photos are sublime-the look of concentration and joy on Cort's face is so captivating! So cute. Looks like he has a great teacher. He's such a cutie, and having a great time, no doubt about it!! lol. oh he looks like a natural, so cute!! darn, i forgot all about the vinton fest! That's great!!! It's too bad he didn't get to do his strength, but so cool he was up on stage doing some cool moves. I was trying to explain the value of arts opportunities . . while I'm trying to explain - YOU & Your Children are out DOING it . . . Even if he didn't get to his specialty, he certainly looked like he was having fun. Which is the most important thing. Blessings and Bear hus to all. He looks so happy dancing!